Where has this month gone? It is like some sort of sick joke how quickly this month has gone by. Before the month ends I wanted to take a minute to introduce you to this month's CrunchyVTMommy sponsors. What can I say about CM? Um, I LOVE them. I often tweet, Facebook, and blog about how much of an influence and inspiration the Clickin Moms community has been to me. If you are on the fence about joining check out this post. My photography went from ashy to classy in six months. Ready to take your photography game to a whole new level? Join. There is even a trial option. My husband and I are obnoxiously committed to eating locally. It is one of our favorite things about Vermont. The abundance of local produce, beef, poultry, syrup was localvore nirvana. Localvore.com is Vermont's first and only deal site. You get to save money and support Vermont. Awesome company with a fantastic mission. Cort hand makes the absolute cutest buckle toys and the coziest baby quilts. She gave one to Cmoney when we met up in Indianapolis and she loves it. It kept her company during the flight home. Pweezy likes it too! I'll show you more during my upcoming review. Check out her Etsy shop and start your holiday shopping. Supporting indie business is always in style. Visit adelyn Stone for DIY, tutorials, recipes, and more. 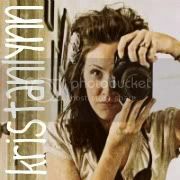 One thing I really like about Kristan is how open she is. She even has a "Grow Your Blog" series posted on her site. She's great.